The term’s oral arguments are now finished and the Justices of the United States Supreme Court find themselves busy writing and delivering the opinions that will complete the court’s work by the end of June. Much buzz surrounds the retirement of Justice John Paul Stevens this summer, making way for his successor to be appointed in time for autumn term. Article II of the United States constitution provides that the President shall nominate Supreme Court Justices subject to the “advice and consent” of the Senate. A majority vote of the Senate is needed to confirm the appointment. President Obama faces testing times following his nomination of US Solicitor General Elena Kagan to replace the markedly liberal Justice Stevens. Kagan is expected to face confirmation hearings in late June during which she will be questioned at length by the Senate who will aim to probe her views, testing her neutrality on issues that might come before the Court. Kagan has openly criticised the hearing process in the past leading many to theorize that her own hearings may be more rigorous than usual. An excellent explanation of the full process of appointment to the United States Supreme Court can be found here on ScotusBlog. Alex Bailin QC gives his thoughts on the nomination to this blog here. The nomination of a female candidate has once again stirred up the age-old debate on diversity (or lack thereof) in the judiciary. Read our post on the issue here. The BBC has reported that if Kagan is confirmed then all of the Justices will have attended either Harvard or Yale law school. In other Supreme Court related news, the United States Justice Department attempted last Thursday, 20 May to put an end to one of the most significant cases seeking to preserve federal judges’ authority to limit the transfer of detainees out of Guantanamo Bay. Around two months ago the Supreme Court refused to hear the latest of the Guantanamo cases to reach it. The case concerned the Algerian national Ahmed Belbacha who fears torture or death by the Algerian government if sent home. Belbacha’s lawyers are attempting to turn his case into a direct challenge to the Kiyemba II decision, which held that federal judges could not “second-guess” government decisions on transfers of Guantanamo prisoners. Now the Justice Department has argued that the District of Columbia Circuit Court should dismiss outright any attempt to reopen the case before its full en banc court of nine judges. Dismissal of this case would enhance the United States government’s power to decide the fate of Guantanamo detainees without the supervision of the court. Now that oral arguments for this term are over the judgments of the US Supreme Court will be delivered in abundance. Expect another update from UKSC Blog in the next few weeks. 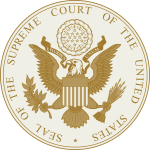 Leave a reply on "News Roundup: United States Supreme Court"